The main drawback of CFL is it’s cost, and when it’s fallen from our hands, or by kids it gets broken, and there is no way to do the reverse. But we can make CFL’s glow again, by replacing the broken lamp with a same or little low rated Fluorescent lamp lamp with the existing circuit and it will work again. The post below describes how to do that. In this example, a 23Watt Philips CFL was broken, and we take 18W 2 feet energy saver tube-lamp to replace the broken lamp portion. All we need is: 1 tube of 18W, two good thin wires of length about some inches more than 2 feet, some cello-tapes, Soldering iron, etc…. 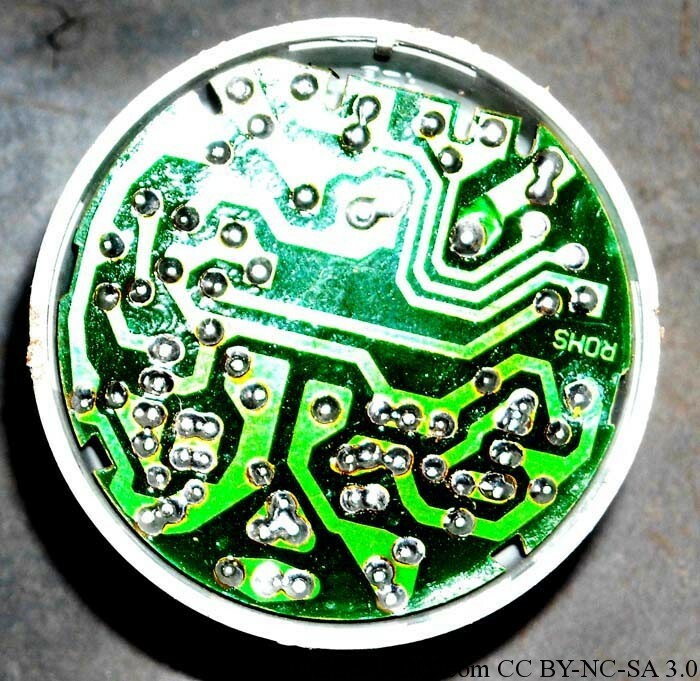 First, we open and remove the old CFL cap, and expose the inner circuit. 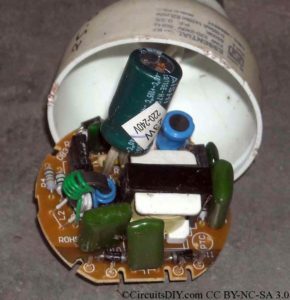 (CAUTION: the capacitor may be still charged, so open only CFL’s that are not plugged in socket in the last 1-2 hours). There are 4 terminals, two to each sides of the CFL lamp, we remove the lamp completely and clean the inner circuit with a brush. The new circuit should be as shown in the picture in right(upper one). After connecting the terminals, by either soldering, or by tight wire loops, we now have to use cello-tapes to fix the tube outside the lamp, and cover all exposed wire, that can cause electrical shock etc..
Now the new homemade CFL is ready to use. You can use this trick for low or high wattage rated CFL’s from the conversion chart.